Hey Ya’ll! 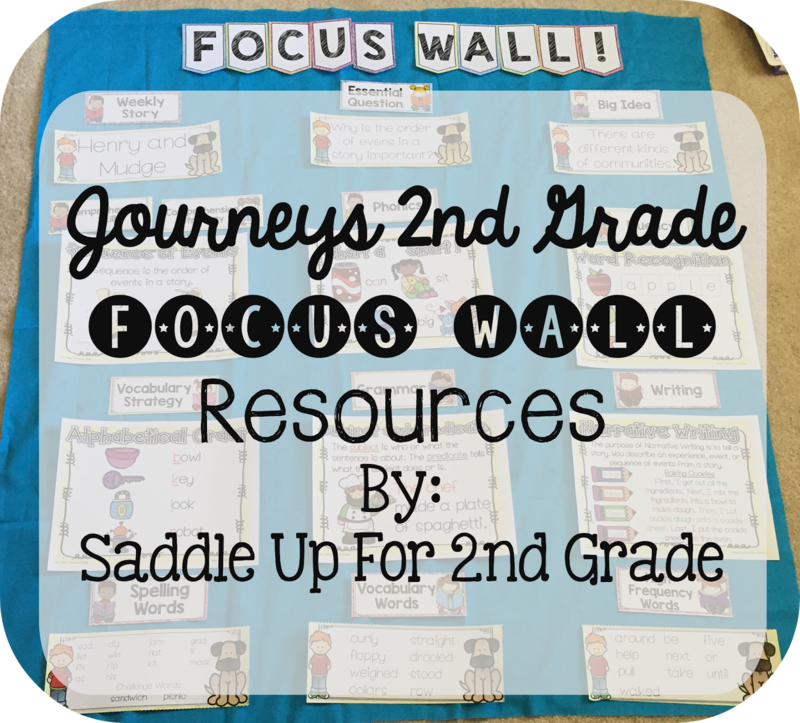 Are you getting ready to implement the Journeys reading series into your daily routine? My district uses Journeys and I’ve spent the last two years learning the ins and outs of the series. Now that I finally feel like I have my routine down, I’m ready to tackle making SUPPLEMENTAL activities for the series. The first story of the series is one of my favorites. 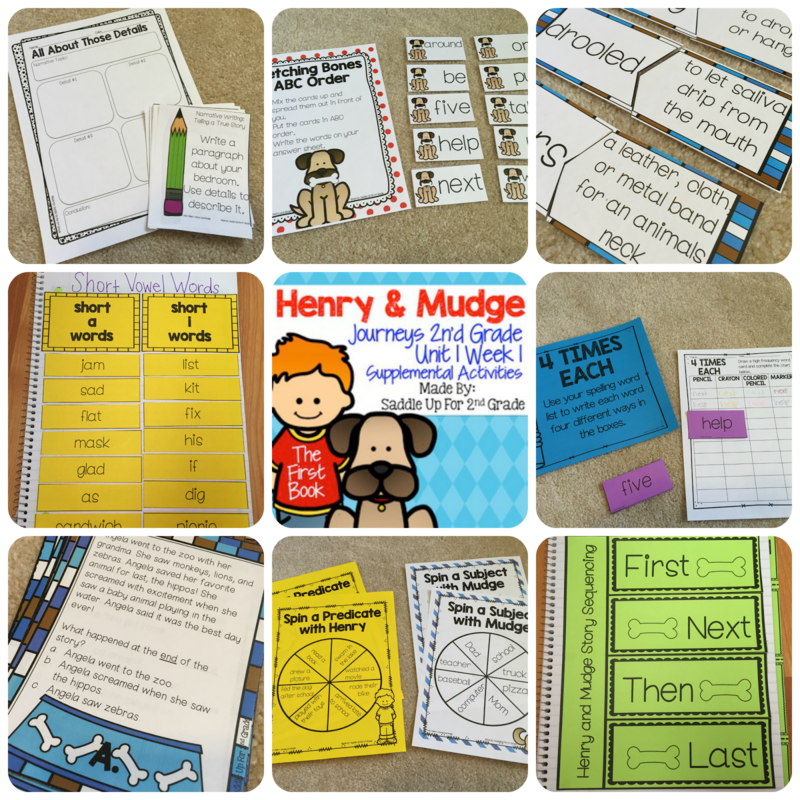 Henry and Mudge: The First Story! My kids have quickly fallen in love with the silly dog and his owner early on in the year and their stories always become a class favorite. 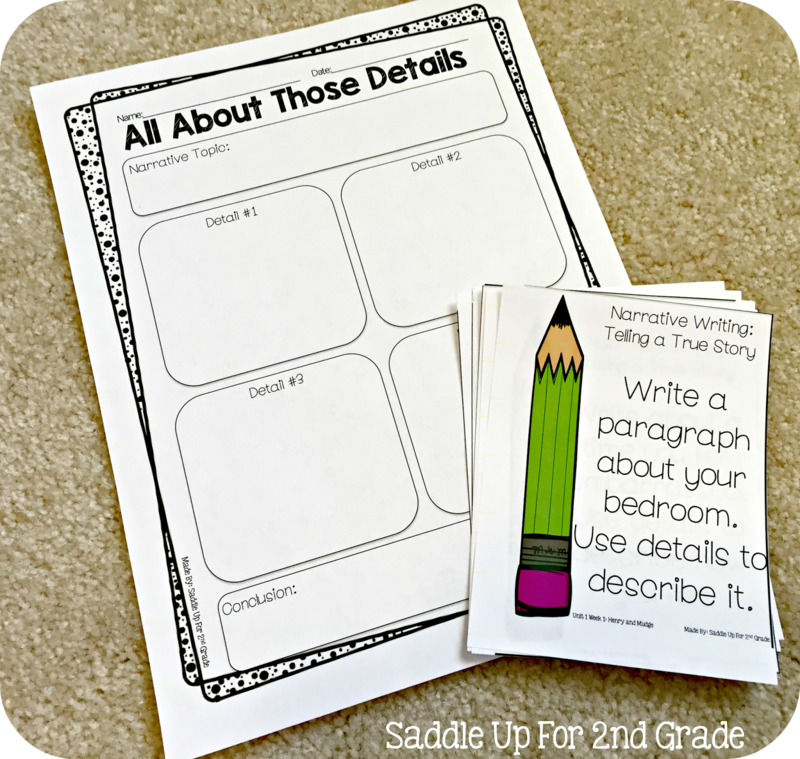 This supplemental unit has everything you need to go along with this story from vocabulary practice to writing prompts. 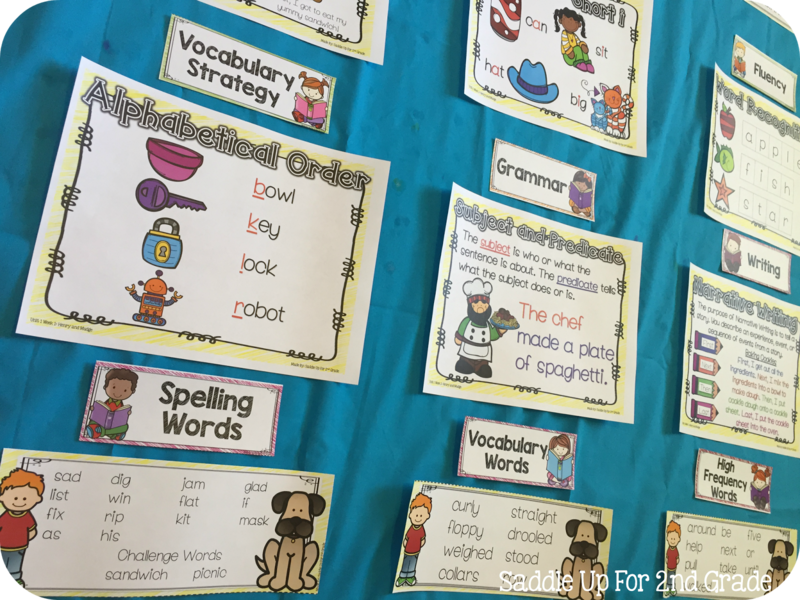 Vocabulary is such an important skill for our little ones. 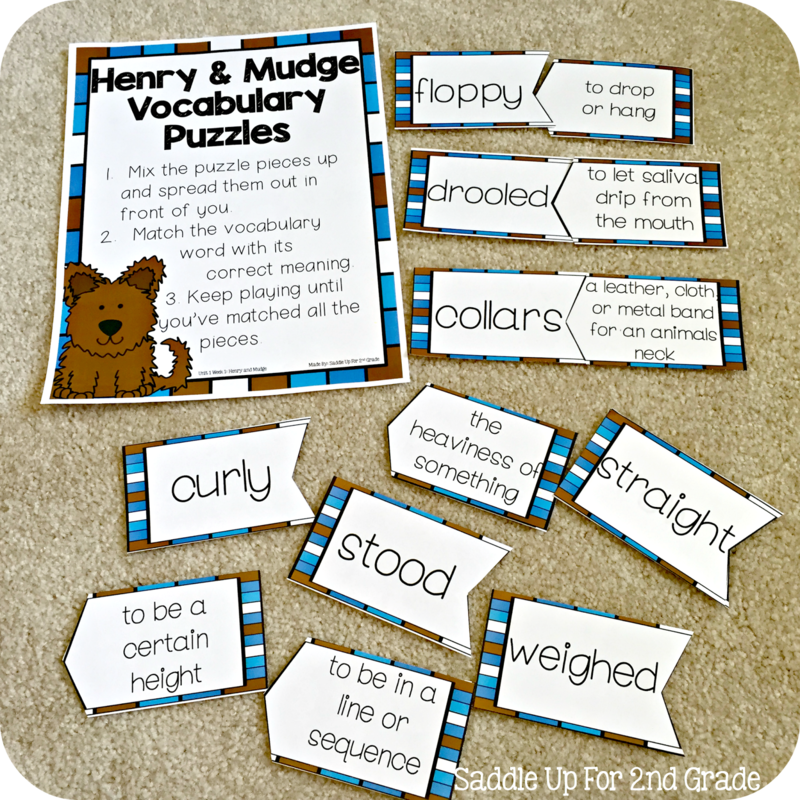 I’ve included these vocabulary puzzles for students to use during small group time. They can also be used during whole group instruction. Give each student a puzzle piece and they have to find their match! You could even use the black and white version that is provided, shrink it down, and use as a journal activity. You can see how to do this here. 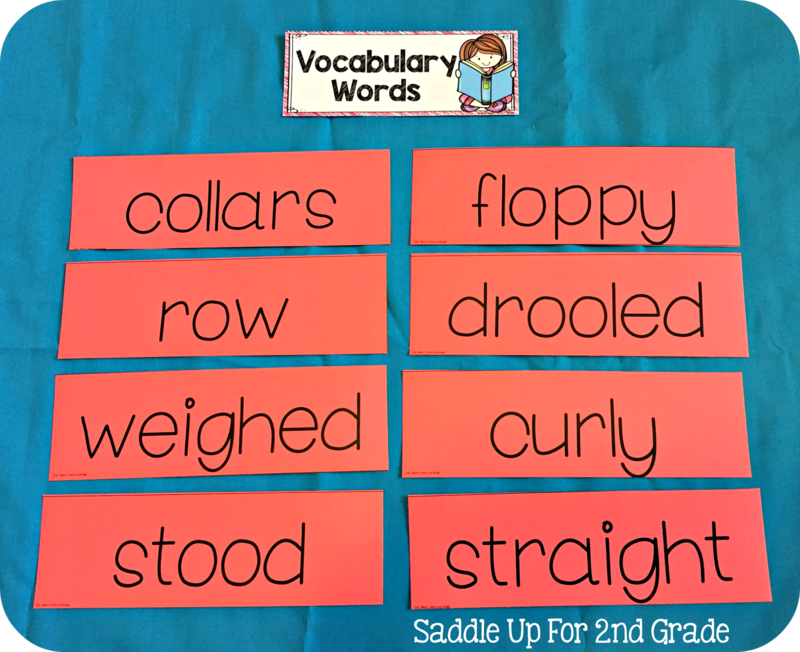 Other vocabulary activities are also included. I also have made vocabulary flip books for the entire year. You can see those in my TPT store here. 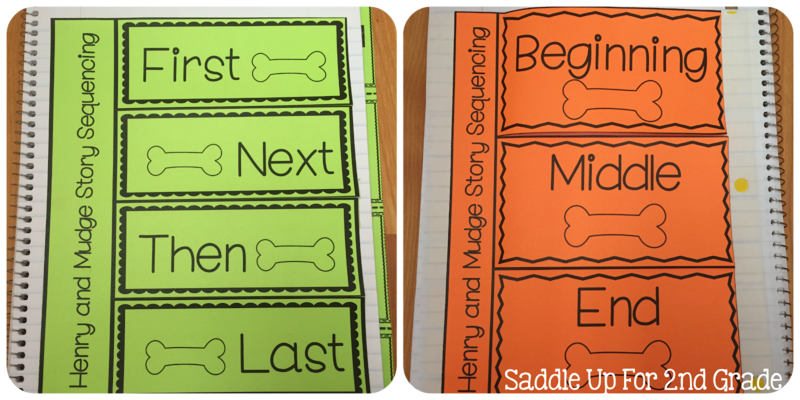 The comprehension skill for this story is sequencing so I’ve included a set of task cards for review. 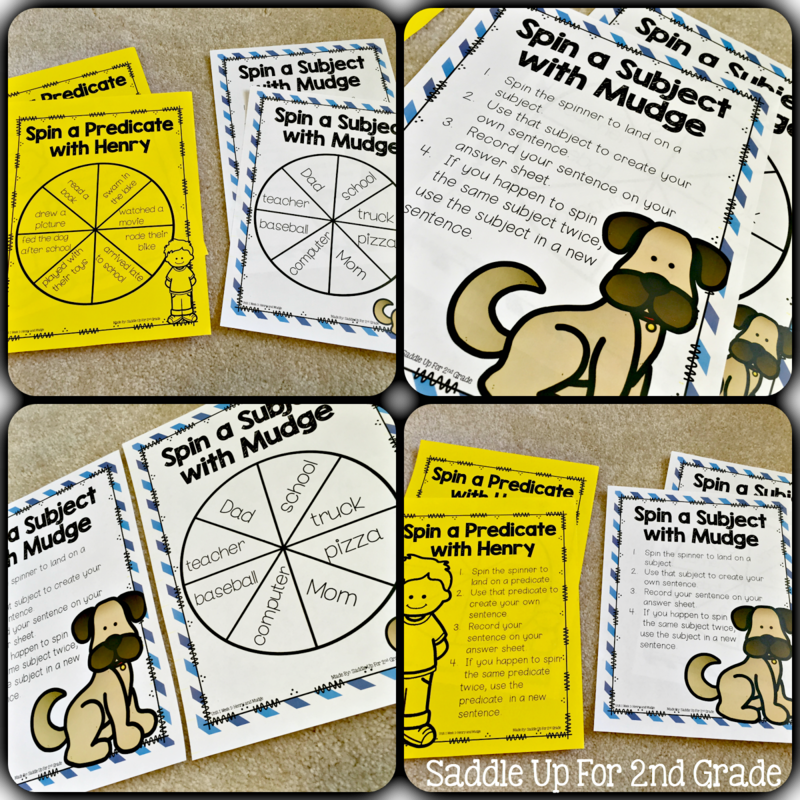 You can use them to play iSpy or scoot, display under a document camera and have your students write their answer on white boards, place them in a center for independent practice, or use in small groups. Journal responses are also included. There are 4 options. Two are shown below and the other two are blank and can be used with any story. 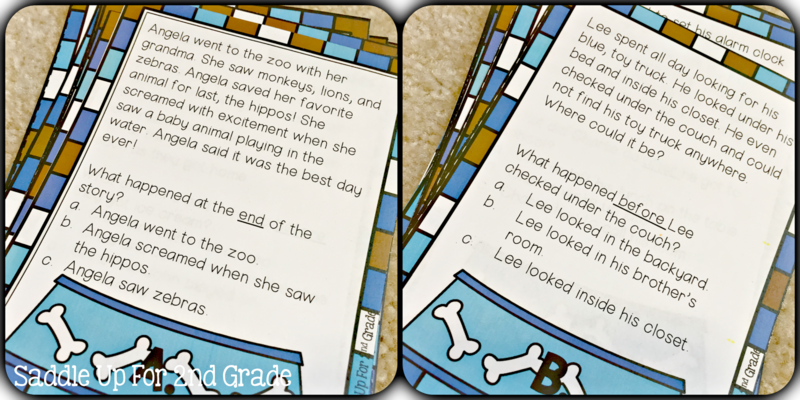 Your students simply cut out the template and glue it into their reading response journal. They can write the sequence of the story under each flap. 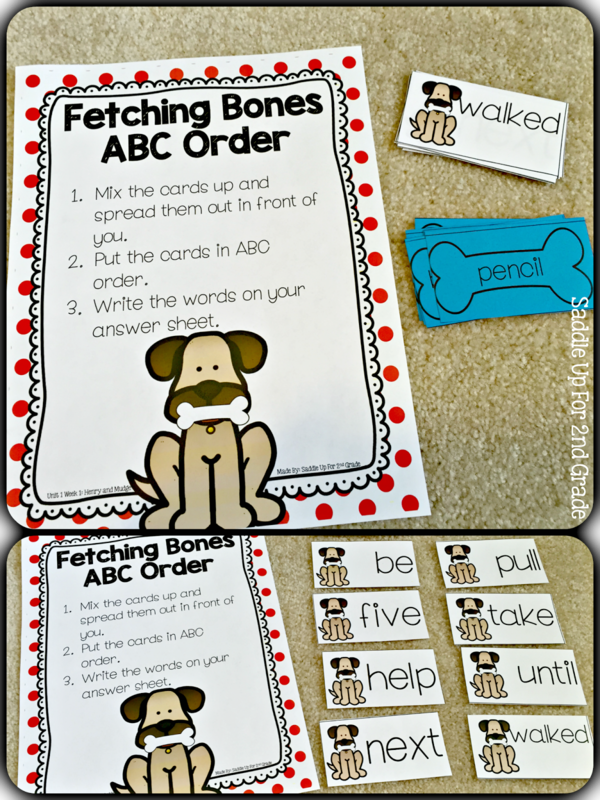 ABC order practice is also included. Two sets of word cards are provided. Lots of phonics practice is provided as well. There is a journal sorting activity and also a center included for review. Here are some other activities that are included. If you’ve followed my blog the past few months you know that I have become a BIG fan of focus walls. You can read all about how I used one in my classroom last year here. 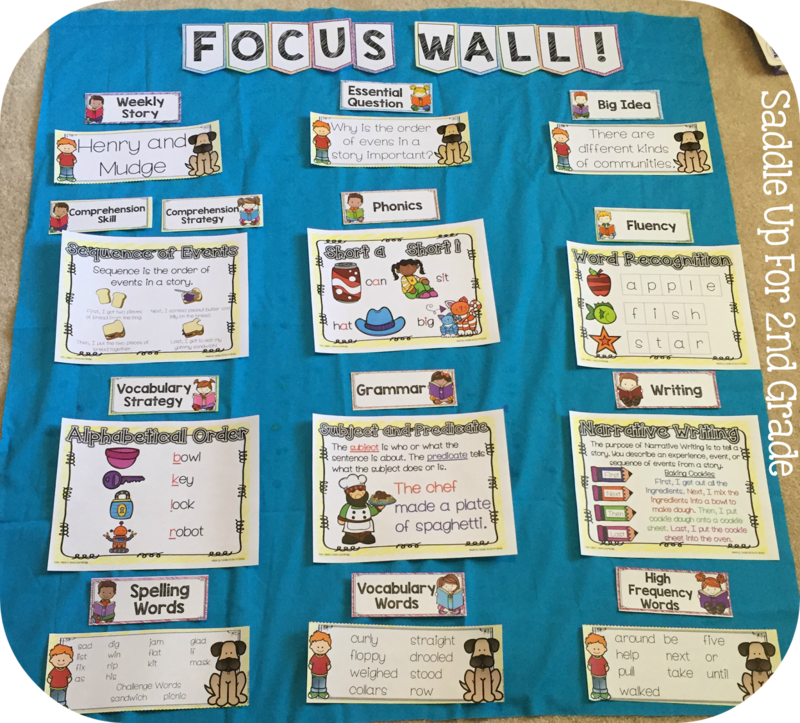 I’ve also included a separate focus wall unit that includes anchor charts and word cards for the skills included within each week. You can grab the headers here for FREE! I printed the focus wall headers two to a page to make them a little smaller. The size of the blue material is the size of the bulletin board I used last year so I wanted to lay it out to see how it would look. Each focus wall unit comes with full and half page size charts for every skill covered. As you can see below, I used a mixture of the two to create mine. 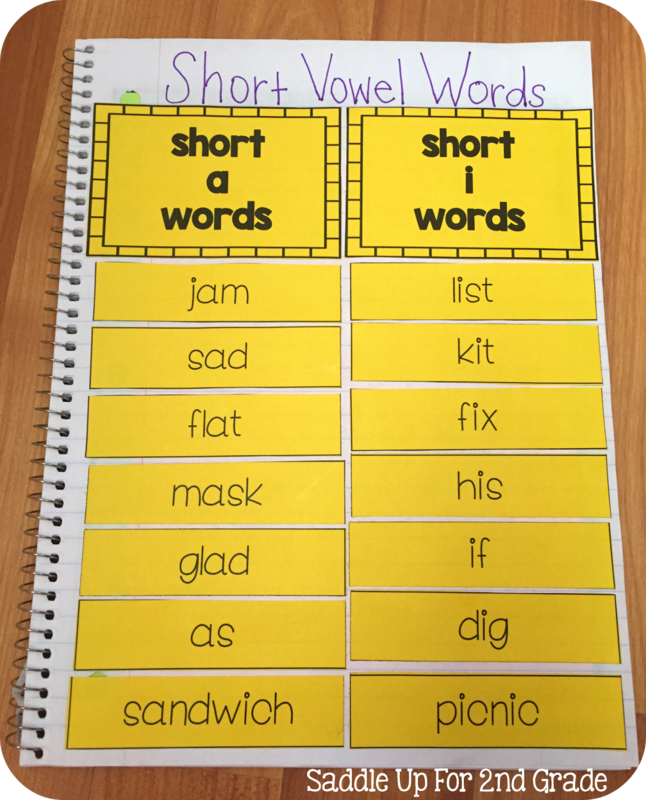 Word cards for spelling, vocabulary and high frequency words are also provided. I used these last year in pocket charts to make my word wall interactive. I highly recommend doing this! 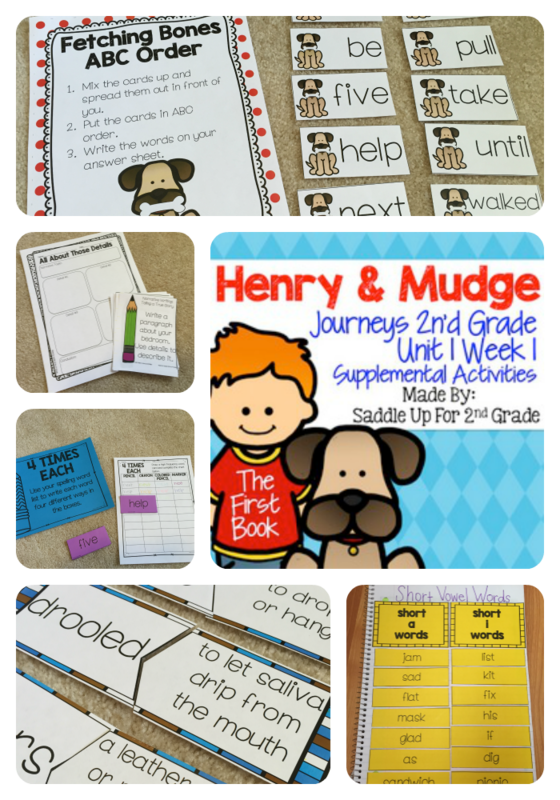 You can get the supplemental unit for Henry and Mudge: The First Book by clicking here and the focus wall anchor charts by clicking here. I will be making a supplemental unit as well as a focus wall set for each story in the series so stay tuned! Please note that these units are to supplement the series and not replace it. Each unit will be made for the 2012 version.